While we may not be able to roll back the global warming trend that is making pest season longer in some parts of the country, there are easier, softer ways to treat parasites, and ways in which we can avoid some of the worst pests. A lot of people are reluctant to use chemical flea treatments because of the possibility of a toxic reaction with the skin. "If it isn't safe for my children, how can it be safe for my pet?" they ask. Unless it is a full blown flea infestation, you may have good results by using gentler and safer methods for flea eradication and control. Fleas are known to be repelled by citrus. The juice from a freshly squeezed orange or lemon can be lightly rubbed onto your pet's fur to ward off the buggers. Take note that oil extracts from lemons and oranges (and any citrus) are not safe for cats and dogs at all. 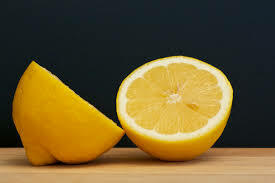 The oil that is extracted from the rind of the citrus fruit contains limonene, an effective insect repellent as well as an all purpose household cleaner. Limonene is also irritating to the skin, and when ingested, can cause liver damage in cats and dogs. Limonene is found in household cleaning products and insect sprays, in home fragrance products, and may be found in some topical products (i.e., for use on skin). Take great care in using citrus oil products only in areas of the home your pets cannot reach, and do not use it on yourself if your pets will be licking you, or on your pets' hair or skin in any form. The oil is specific to the cells within the rind of the fruit and can only be extracted using specialty equipment, and so is not found in the fresh-squeezed juice of the fruit. If your pet licks a little of the juice off of his fur, there is very little risk of harm — always keeping in mind that allergies can happen to anyone. If your pet behaves oddly after using or eating anything different, discontinue its use immediately. Remember the old cartoons where dogs would jump into water to relieve themselves of fleas? Water really does work. Since fleas do not grasp and hold onto the hair shafts, they fall off in the water and drown. A good dip in a tub of water will wash away most, if not all, of the fleas on your pet. Using a gentle pet shampoo or a little bit of regular dish liquid, along with a thorough brushing (an outdoor brushing is best), will go a long way toward ridding your pet's body of fleas. Around the house, laundering pet beds and furniture covers, and vacuuming and disinfecting the floors — not just around your pet's living spaces but all over — will help to control the population of fleas (just make sure you do not use products with volatile organic compounds. Always dump the bag or cannister of the vacuum, since fleas can continue to live inside the container. In the yard, you might consider adding a natural predator of fleas. Nematodes are small worms that feed off of flea larva, and are easy to find at garden stores or pet shops. They are highly effective, with a noticable improvement in flea popualation within two days. Keep in mind that the type of nematode that is being recommended here is termed a "beneficial" nematode. It is not the type that is known for infecting animals, such as the heartworm. Lady bugs can also be found at your local gardening shop, and are also very effective. Lady bugs feast on soft bodied bugs like fleas, and a mature lady bug can eat an average of 50 insects a day. Finally, fire ants are known to eat flea larvae, so if you have them in your yard, you may want to practice some controlled fire ant management that limits them to some areas of the yard rather than complete eradification of them. Ticks hang out in tall grass and use the opportunity to grab on to passersby when they feel body warmth — which they are very good at doing. If you are going to be spending time in wooded or grassy areas with your dog, you might want to fashion some cover-up clothing for your dog in order to avoid ticks. An old t-shirt can be altered to fit your dog's body, and old socks can be cut to make "leg warmers." 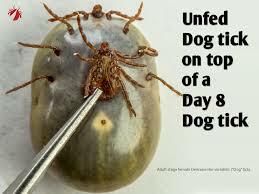 This may not entirely prevent ticks from making their way onto your dog, but it may work to keep most of them off since they have nothing to latch onto, and will slow the rest down so they do not spend as much time on your dog's skin (the longer ticks stay on the skin, the more likely they are to transmit disease). Because ticks carry dangerous bacteria, repelling them is a priority. One of the natural repellents that a lot of people have success with is rose geranium oil, which can be applied to your dog's collar. 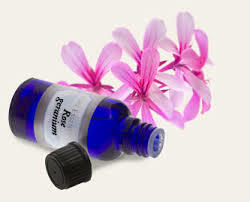 Do NOT use rose geranium oil on your cat, though. Cats can have a bad reaction to essential oils, primarily because they spend a lot of time grooming, which means that anything on their skin goes into their mouth. With ticks, the best thing you might do is to check your pet a few times a day when you are in an area that has ticks, and remove them promptly. Proper technique is important for removing ticks, so make sure that you consult a veterinarian before doing it yourself if you are not completely sure of how to do it. Now that you have a few alternate means of combating fleas and ticks, you can feel confident that your pets will remain bug-free throughout the year — especially in the summertime, when there are so many nasty critters to worry about.